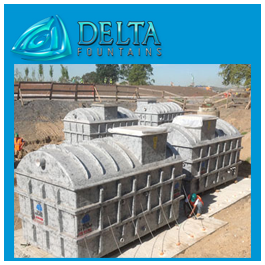 The Subterranean Equipment Vault is the largest pre-engineered underground equipment vessel available. 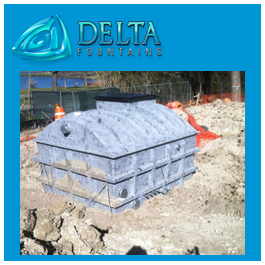 The self-contained unit is fabricated from heavy-duty fiberglass and ranges in size from a 4′ X 4′ low profile vault to a 8′ X 14′ subterranean style vault. 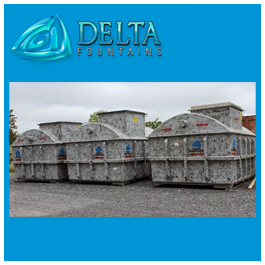 Each equipment vault is engineered to include a large variety of mechanical and electrical equipment, including pumps, filtration systems and controls. 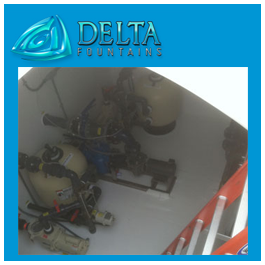 They are pre-plumbed and pre-wired to ensure minimal work in the field. 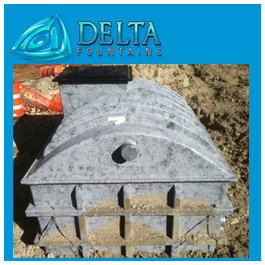 An access hatch at the top provides easy entrance to the vault. 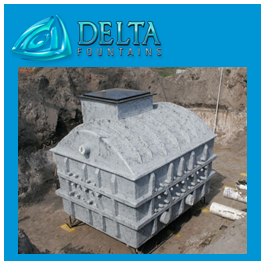 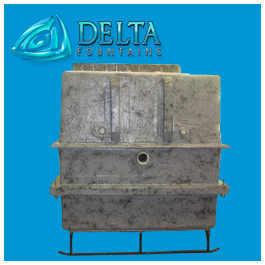 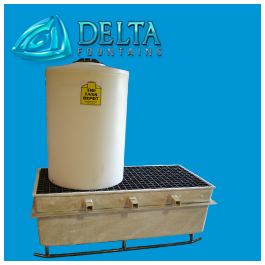 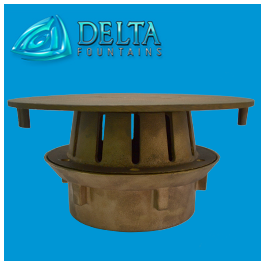 Delta Fountains has several varieties of hatches to fit your design needs. 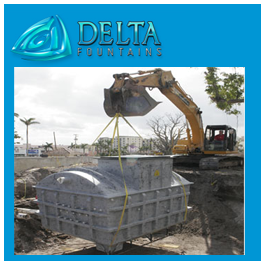 Equipment Vaults are designed to be installed underground and within one-hundred feet of the actual fountain, though they can be designed to sit farther away if necessary. 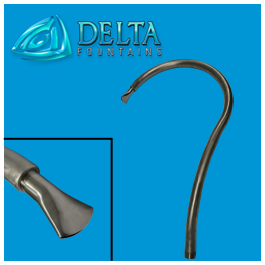 Download our most requested size specifications below in the “Technical Data Sheets” section, and contact us for all other questions or sizes. 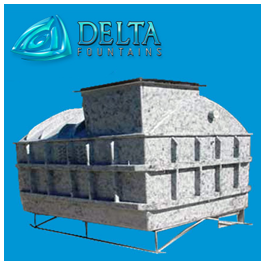 For more fountain equipment vault choices, browse our Low Profile Equipment Vaults and our Clam Shell Subterranean Vaults.